According to a new report from Inside Line, there&apos;s another update regarding the delayed production of a new model from a Japanese automaker. In the wake of the devastating earthquake and tsunami that struck northern Japan last March, automakers there are facing a long recovery as factories and suppliers struggle to get back on track. And now, Nissan has announced that their new Murano CrossCabriolet is yet another victim of production hurdles. In fact, Nissan was only able to deliver 45-50 units to U.S. customers so far this spring. The new model was only in its first days of production when the disaster struck, which basically means that inventory was non-existent. 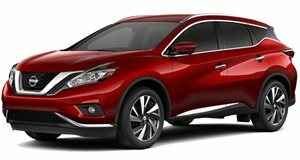 On top of this, overall Murano sales were down by some 32 percent last month in comparison to May of last year. So far, the 2012 Honda Civic and Toyota Prius are the other two high-profile cars whose production has been seriously impacted by the natural disaster in Japan.